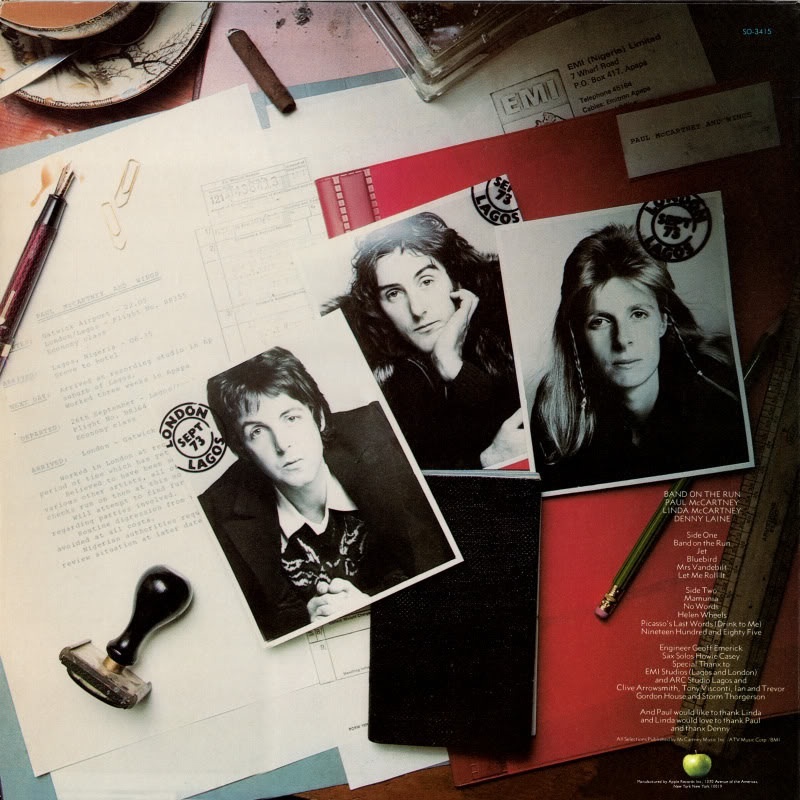 An acoustic guitar lesson on how to play “Bluebird” by Paul McCartney and Wings from the album “Band On the Run” released in 1973. I’ve always really liked this song. McCartney above all else, is a brilliant composer and always comes up with at least one musically interesting thing in every song he writes. In this one, other than the cool jazzy/calypso type feel, and the great harmonies, it’s the chorus arpeggio licks that stand out for me. They really make the song IMHO and will take a bit of practice to get down, but once you do they sound just great. The Band On the Run album was recorded in Lagos, Nigeria. They had a lot of things go astray with this record. Not only did the lead guitarist (Henry McCullough) and the drummer (Denny Seiwell) quit the band just days before the trip, but the McCartneys were mugged by a car full of Nigerians and had their bag stolen that had all the demos and lyrics for all the songs in it. It's amazing that through all this they wound up creating their most successful album. I had a great time putting this video together so I hope you enjoy it and have fun playing this great mellow McCartney tune.